Award-winning comic-book creator Brian Michael Bendis is one of the most successful writers working in mainstream comics today. He has helmed a renaissance for Marvel's popular Avengers franchise, writing every issue of New Avengers and launching Avengers, Mighty Avengers and Dark Avengers. 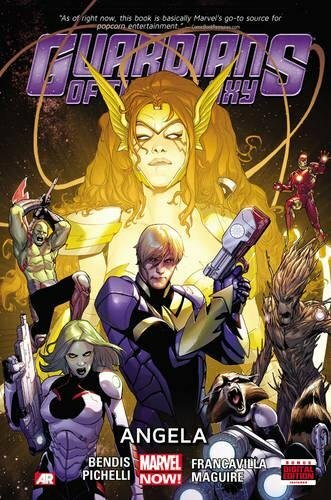 He has also written the event projects House of M, Secret War, Secret Invasion and Siege. Bendis is one of the architects of Marvel's Ultimate line of comics, having written every issue of Ultimate Spider-Man since its launch in 1999, as well as Ultimate Fantastic Four, Ultimate X-Men, Ultimate Marvel Team-Up, Ultimate Origin, Ultimate Six and the Ultimate Enemy trilogy. The introduction of multiracial Ultimate Spider-Man Miles Morales made USA Today's front page and went on to become a hotbed topic on Fox News, CNN, The Daily Show with Jon Stewart, The Howard Stern Show and more. Bendis' creator-owned projects include Scarlet with Alex Maleev, Brilliant with Mark Bagley, the Eisner Award-winning Powers with Mike Oeming and the Hollywood tell-all Fortune and Glory. Bendis is also the creator of Image Comics' Jinx line of crime comics, which has spawned the graphic novels Goldfish, Fire, Jinx and Torso with Marc Andreyko, and Total Sell Out. Sony and FX have completed principal photography on the pilot for Powers with Bendis as executive producer, and he's adapting Fire for Universal Pictures as a starring vehicle for Zac Efron. Bendis is also a writer and consulting producer for the Disney XD series Ultimate Spider-Man. As a member of Marvel Studios' Creative Committee, he has consulted on the films Iron Man and Iron Man 2, Captain America: The First Avenger, Thor, and Marvel's The Avengers. He is head writer of the massive multiplayer online game Marvel Universe for Marvel and Gazillion games. Neil Gaiman is an English author of short fiction, novels, comic books, graphic novels, audio theatre and films. His notable works include the comic book seriesThe Sandman and novels Stardust, American Gods, Coraline, andThe Graveyard Book. He has won numerous awards, including Hugo, Nebula, Bram Stoker, Newbery Medal, and Carnegie Medal. He is the first author to win both the Newbery and the Carnegie medals for the same work,The Graveyard Book (2008).